What is an ecs file and how do I open an ecs file? A Sony Ericsson phone backup file is stored in the ECS format and is affixed with the .ecs extension, and these ECS files are used as backup copies of data stored in a supported mobile phone. A wide variety of Symbian mobile phone models manufactured by Sony Ericsson implement support for these ECS files. This is because the Symbian operating system is integrated with support for compressing and decompressing data in an ECS file. These ECS files can be used in computers running on Microsoft Windows-based systems by replacing the .ecs extension with .zip. 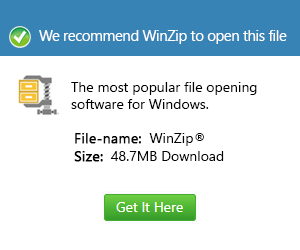 Users can then utilize a popular ZIP decompression application to access the data stored in the filestore.dat file, which will be produced upon decompression. The content of this DAT file is an index of the pieces of data stored in the associated DAT file. These ECS files are useful for those who regularly store new data in their Symbian-powered Sony Ericsson phones, especially large files like videos and images, since mobile phone data can be generated as an ECS file for transmission via email to conserve data storage resources of the mobile phone.